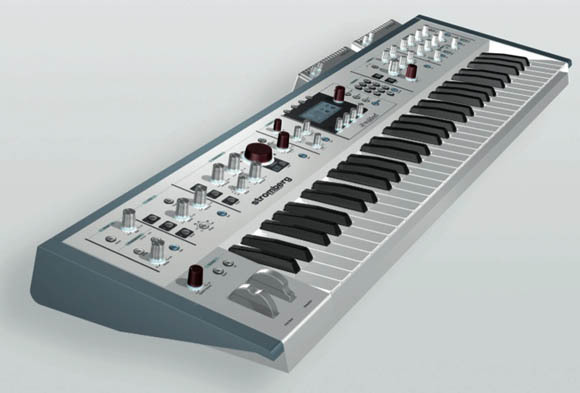 Q and Q+ keyboard synths: Virtual analog synths with 58 onboard encoders, up to five oscillators and two multimode filters per voice, and (on the Plus) 16 real analog filters (i.e., not modeled). micro Q: Rack-mount version of the Q, with the same sound engine. 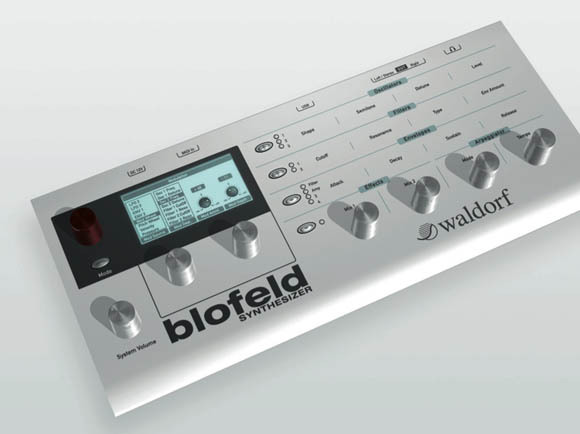 blofeld: USB 2.0-connected synth module with 1,000 editable sounds; this unit appears to be a smaller take on the more advanced virtual analog synths, but still with some editing. zarenbourg: Here’s where things start to get really interesting: the Zarenbourg is a modeled electric piano with five EP simulations and effects, built into a 76-key, traditional case, with wooden keys. Optional internal speakers complete the effect. I love the optional “rockstar” paint jobs. stromberg: Wavetable oscillators, two-way multimode filters, multiple filter types, 100-voice polyphony, and Waldorf Wave, Microwave, and Q sounds — this is the flagship keyboard synth. I had an electronic musician friend named Dirk Stromberg who went off to Europe, but I’m guessing this is not his design / celebrity endorsement. Waldorf Edition PPG Wave 2.V: For software lovers, a plug-in that emulates 80s PPG synths. Looks like really good stuff; now we just have to learn pricing and see what they’re like in person. 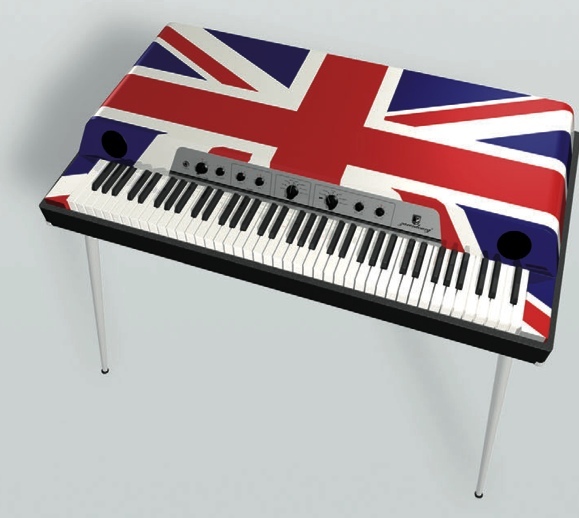 In this competitive age of great soft synths, I especially like anything with something unique — electric pianos with awesome paint jobs, wooden keys, and built-in speakers, and great virtual analog synths with real analog filters are certainly in the running.